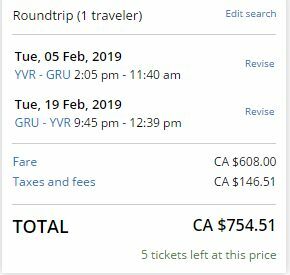 Air Canada and United Airlines have dropped the price of their 2019 flights from Vancouver to Sao Paulo, Brazil down to between $730 and $805 CAD roundtrip including taxes. NOTE: Canadians require a visa to visit Brazil - although it's now a lot easier to obtain one, and the price has dropped dramatically. You can now get an e-visa for Brazil online, sparing you from physically going to an embassy or consulate. Just Google for 'e-visa Brazil Canadian' - it should cost around $40 USD. - Look for the dates that are $731 to $805 roundtrip. 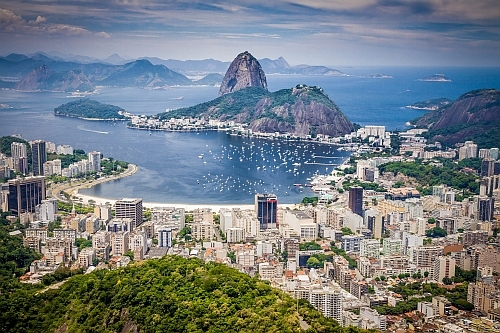 vancouver, yvr, flight deals, air canada, south america, united airlines, brazil, sao paulo, sao, gig and rio de janeiro.